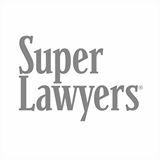 Social Security and Supplemental Security Income (SSI) beneficiaries will receive a 2.8% cost of living increase (COLA) for 2019. SSI federal monthly payments will become $771 (up from $750) for an individual and $1157 (up from $1125) for a couple. 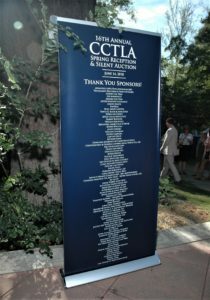 Margaret H. Fulton and Ashley Clower were pleased to attend CCTLA’s Spring Reception on July 14, 2018. Over 200 people, including attorneys, professionals, and family members attended this wonderful event. 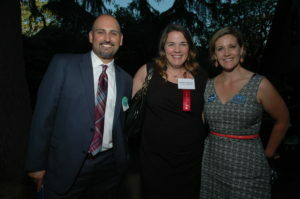 Robinson and Fulton Law were sponsors at the Reception, which benefitted Sacramento Food Bank and Family Services. Over $113,000.00 was raised for this amazing cause. It was an honor to be a part of this event. The S acramento Housing and Redevelopment Authority(SHRA) Section 8 Housing Choice Voucher waiting list is opening soon, from January 16, 2018 at 12:01 am, until January 30, 2018 at 11:59 pm PT. It was last open in September 2015, and prior to that for two weeks in September 2014. To apply during the opening period, complete the online application that will be available on the SHRA website. If an applicant does not have access to the Internet, they can use a computer at a local library. This waiting list has the following preferences: Displaced from housing due to insufficient funding; households whose voucher was cancelled due to insufficient funding; live, work, or hired to work in Sacramento County; veteran; permanently disabled; rent burdened; homeless. Selected applicants will be placed on the waiting list by random lottery, after sorting preferences. For more information, visit the SHRA website, or call the office at (916) 444-9210. This information was found on the Affordable Housing website, which is located here. To be placed on the waitlist, please click here. 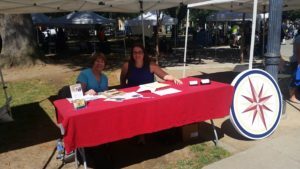 The waitlist for Placer County’s Housing Choice Voucher Program, which helps low-income individuals and families who are struggling to pay rent by providing rental subsidies, will open Oct. 30. From 9 a.m. on Oct. 30 until the waitlist closes at noon on Nov. 9, 2017, qualified residents can complete a pre-application online at www.waitlistcheck.com/CA377 . Then, a computer-generated lottery will be run and 500 applicants will be placed on the waiting list. Income verification will also be required. The pre-application is available in English and Spanish. More information on eligibility requirements can be found here. “With rents skyrocketing, many families are finding it harder and harder to make ends meet. This program is in high demand, and it’s rare that we can open up the waiting list — so we strongly encourage eligible residents to take advantage of this limited-time opportunity while they can,” said Human Services Director Linda Bridgman. More than half of Placer County residents who rent spend more than 30 percent of their income on housing. 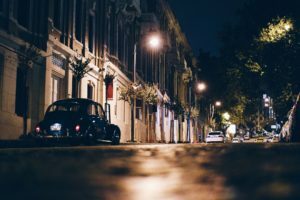 The Housing Choice Voucher Program is funded by the U.S. Department of Housing and Urban Development, and provides a monthly rental subsidy to qualified very low-income households to help make their rent payments. There is limited assistance available. The last time the waiting list opened was in 2014. Paper applications will not be accepted, so residents should seek assistance using a computer if needed. Those with disabilities can contact the Placer County Housing Authority in writing prior to the deadline to request reasonable accommodation for assistance with the application process. There is no charge to apply. Applicants who live or work in Placer County’s jurisdiction — excluding the City of Roseville, which has its own voucher program — or who are elderly, disabled, a low-income family, a veteran or homeless and participating in transitional housing or shelter programs or fleeing a domestic violence situation will receive preference when determining waiting list order. As long as an application is submitted within the open period, the submittal time will not affect waiting list order. Applicants can check to see if they were selected for the waitlist after Dec. 10 at www.waitlistcheck.com . For more information, call 530-889-7676 or email pcha@placer.ca.gov.